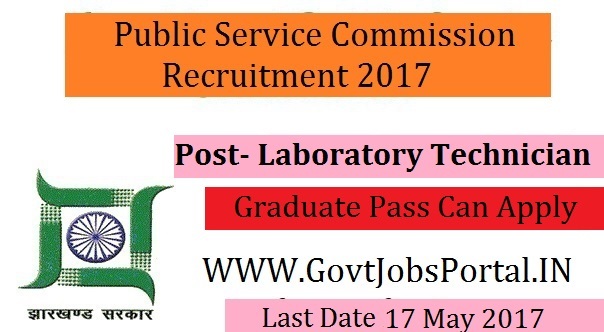 Kerala Public Service Commission is going to recruit fresher candidates in India for Laboratory Technician Posts. So, those candidates who are willing to work with this organization they May apply for this post. Last Date of Apply 17-May-2017. Total numbers of vacancies are 09 Posts. Only those candidates are eligible who have passed Intermediate Examination in Science OR A Pass in Pre Degree Examination in Science OR A pass in Pre­ University Examination “B” Grade in Science OR A pass in any equivalent Examination and A pass in Medical Laboratory Technology Course (MLT) conducted in the Medical Colleges of Kerala OR Any other equivalent qualification. Indian citizen having age in between 18 to 44years can apply for this Kerala Public Service Commission Recruitment 2017. Educational Criteria: Only those candidates are eligible who have passed Intermediate Examination in Science OR A Pass in Pre Degree Examination in Science OR A pass in Pre­ University Examination “B” Grade in Science OR A pass in any equivalent Examination and A pass in Medical Laboratory Technology Course (MLT) conducted in the Medical Colleges of Kerala OR Any other equivalent qualification. Applicants who meet with all eligibility criteria related to these Graduate Pass jobs will be selected on the basis of their performance in various round of selection. The various rounds of selections are as follow: Selection will be based on Written Test/ OMR/ Online Test.